Ben McNamee: Works with CM students with 60+ credits and last names between Sb-Z and TRAIL (Out on leave until July 2019 – Ben’s students may meet with Mara, Becca or Lizzy while he is out). 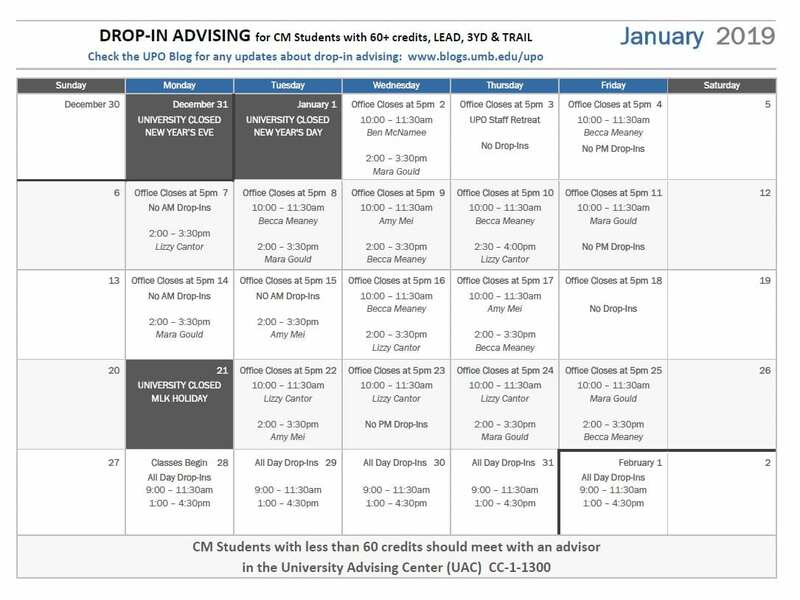 Only College of Management students with 60 or more earned credits can see their advisor in the College of Management Undergraduate Program Office. Advisors are assigned based on the student’s last name, as detailed above. 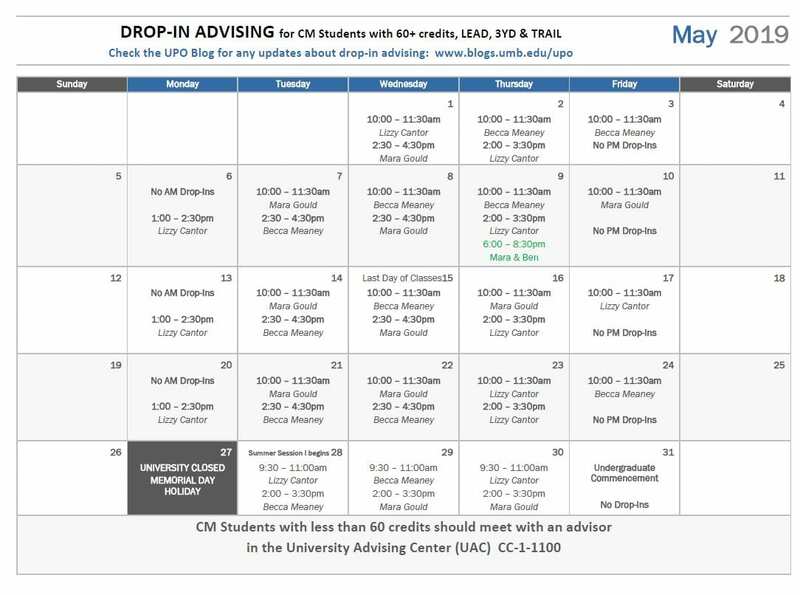 Advisors in CM are available during drop-ins or by appointment; please visit the CM Appointment Advising page on the Undergraduate Blog to schedule an appointment with your assigned advisor. If you have questions regarding the scheduling process please call the office at 617.287.7760. 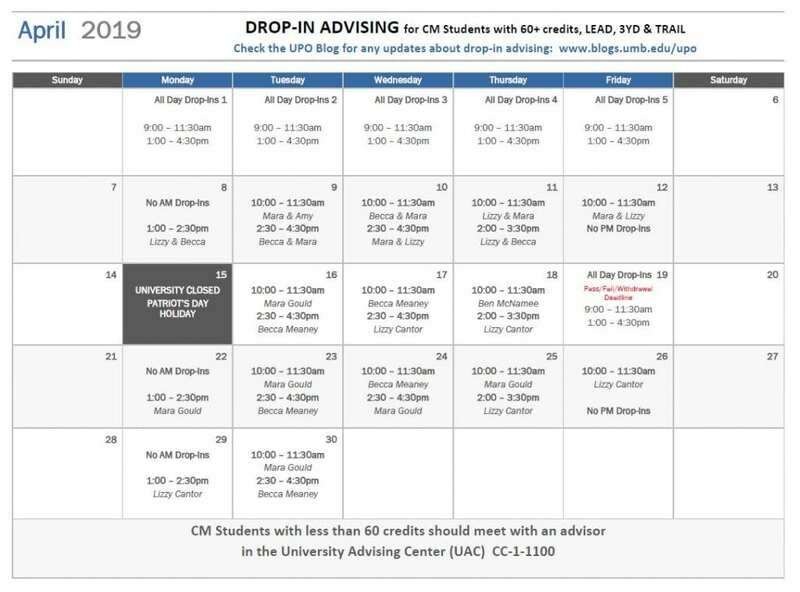 Amy Mei is available for appointments to discuss certain policy exceptions, such as: CM course pre-requisites and credit overloads (after the appropriate online forms have been completed and reviewed) . To schedule an appointment with Amy, please meet with your advisor. There are several policies that only the Office of Undergraduate Studies can make exceptions for, including: exceptions to all university deadlines (add/drop, withdrawal, pass/fail); course repeats and grading option changes.